Almost 1 million jobs will be created in Australia over the next five years but there won’t be enough skilled workers to fill them. That’s according to Business Council chief executive Jennifer Westacott, who says Australia faces a crippling skills shortage unless more funding is urgently returned to vocational education. The Federal Department of Employment predicts almost half of those jobs created will require a vocational qualification. The rapidly ageing population, construction of major infrastructure, a growing taste for eating out and the full rollout of the National Disability Insurance Scheme (NDIS) will drive many of the new jobs. 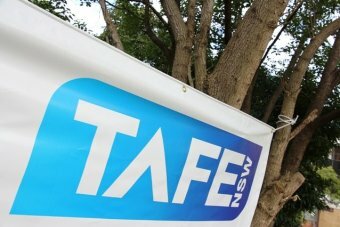 There are serious concerns funding cuts to the vocational education and training (VET) system have left it in no shape to meet that challenge. Ms Westacott fears, “we will have to spend billions to put it back together”. “We’ll have another skills shortage then we’ll have another debate about bringing in foreign workers, or we will just lose new businesses and new activities to other countries where they have a more trained and skilled workforce,” Ms Westacott told 7.30. Professor Peter Noonan, an expert in tertiary education policy from the Mitchell Institute at Victoria University, told 7.30 he was deeply worried. “Between 2014 and 2015, state governments took $1 billion out of vocational education and training,” he said. He said one of the biggest disadvantages faced by VET students was not having access to the generous university loan scheme. “Enrolments are going down but the most regrettable thing is that fees for students are going up, and in some cases students are paying thousands of dollars up front and they can’t get an income contingent loan like they can if they’re going to university,” he said. Disability service provider Yellowbridge is already unable to find enough qualified staff. The company, based in Toowoomba in regional Queensland, would like to hire another 50 people but CEO Penny Hamilton said they weren’t available. “I don’t know if it’s a crisis but I think it is something that needs to be looked at pretty quickly,” she said. Yellowbridge has paid for staff, including disability support worker Kevin McLennan, to complete a certificate III in individual care with a private provider. He said not having to pay the fee was a relief. “It was a big concern for me, especially coming into the job. I was unemployed for a little bit so it’s hard to just fork out that type of money for a certificate,” he said. While TAFE offers early childhood courses, many students choose to study it at university to avoid fees. Education consultant Jonathan Chew said it was an easy decision for many students to make. “You might be looking at an out-of-pocket fee of anywhere from $1,000 to $4,000, [to study early childhood in VET],” he said. The Business Council is calling for a dramatic shakeup that would put vocational education into a single tertiary system. Ms Westacott wants each student to be given a lifelong skills account, with the same subsidies and loans to spend wherever they choose. “What that would allow you to do is basically assemble a qualification,” she said. “What I mean by that is, as people will need a module of something they don’t need to go into a whole undergraduate or postgraduate degree.